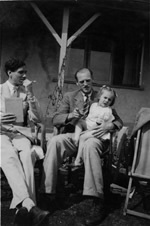 Demonstrating the often unrecognised breadth of Maclaren-Ross’s talent, BITTEN BY THE TARANTULA AND OTHER WRITING includes uncompleted and previously unpublished novel fragments, as well as a novella, short stories, literary parodies, not to mention ground-breaking essays on the cinema and literature. While his parodies drew praise from several of their targets, Georges Simenon and P.G. Wodehouse among them, his literary essays focus on such diverse subjects as John Buchan, Jean Cocteau, Henry Green, and Dashiell Hammett.